On November 14, 1999, Darrell Waltrip picked up the 14th last-place finish of his NASCAR Winston Cup career in the Pennzoil 400 Presented by Kmart at the Homestead-Miami Speedway when his #66 Big Kmart / Route 66 Ford fell out with handling issues after he completed 85 of 267 laps. The finish, which came in Waltrip’s 780th series start, was his second of the season and first since an early engine failure during the Coca-Cola 600, 21 races previous. For nearly three decades, the outspoken driver from Franklin, Tennessee was a fixture in the garage area. He made his first Cup start as an owner-driver in 1972, finishing 38th in a field of 50 at Talladega. He won his first of 84 career races in his own equipment as well, taking the checkered flag at his home track, the Nashville Fairgrounds. Behind the wheel of DiGard Racing’s #88 Gatorade Chevrolet, he banged fenders with the likes of David Pearson and Richard Petty. With Junior Johnson, he claimed his three titles and two 12-win seasons, besting names like Cale Yarborough and Bobby Allison. His long-awaited Daytona 500 victory came in Rick Hendrick’s “Tide Ride,” besting new rivals like Dale Earnhardt and Rusty Wallace. And in 1991, he returned to his roots with DarWal Enterprises, scoring five more wins over two seasons. As the 1990s progressed, however, the rest of the field began to catch up. After coming just short of a fuel mileage victory in the Atlanta finale, Waltrip’s Western Auto Chevrolet went winless in the 1993 season. In 1996, he slipped to 29th in points, picking up just two Top Tens. 1997 saw the celebration of Waltrip’s 25th year in racing, and his #17 ran seven different paint schemes, including five that represented his time with DiGard, Johnson, and Hendrick. But that season also saw his first DNQ since 1974. In the fall race at Charlotte, Waltrip lost the Past Champions’ Provisional to Terry Labonte. Western Auto left after ‘97, and when new sponsors SpeedBlock and Builders Square failed to meet their obligations in early 1998, DarWal closed. Waltrip ran one more race in his #17 at Darlington, the flat white paint scheme honoring the ailing Tim Flock. Many thought the 30th-place run that day would be the end of his career. But the very next week at Bristol, help came from a most unexpected source: his longtime rival Dale Earnhardt. Earnhardt’s rookie driver Steve Park had been injured at Atlanta, and the team needed a relief driver. Following two unsuccessful attempts with Phil Parsons and Ron Hornaday, Jr., Earnhardt tabbed Waltrip to run at Bristol. At a track where he’d won 12 times before, Waltrip not only bested four cars to make the field, but finished 23rd, his best run of the season. Four races later, he came home 5th at Fontana, then five races after that came up just short of his first checkered flag since 1992. Waltrip was out front with 21 laps to go when Jeremy Mayfield made the winning pass, taking his own first victory. Park’s return at Indianapolis moved Waltrip to Tyler Jet Motorsports (TJM). TJM’s “Team Tabasco” #35 Pontiac had endured a miserable start to the season, failing to qualify for eight of the first 16 races with Todd Bodine, then struggling with Wally Dallenbach, Jr., Gary Bradberry, and even Jimmy Horton, who had been out of the series for more than three years. When Waltrip came aboard and finished 13th, driving a Chevrolet that TJM bought from Waltrip, it was a breath of fresh air. 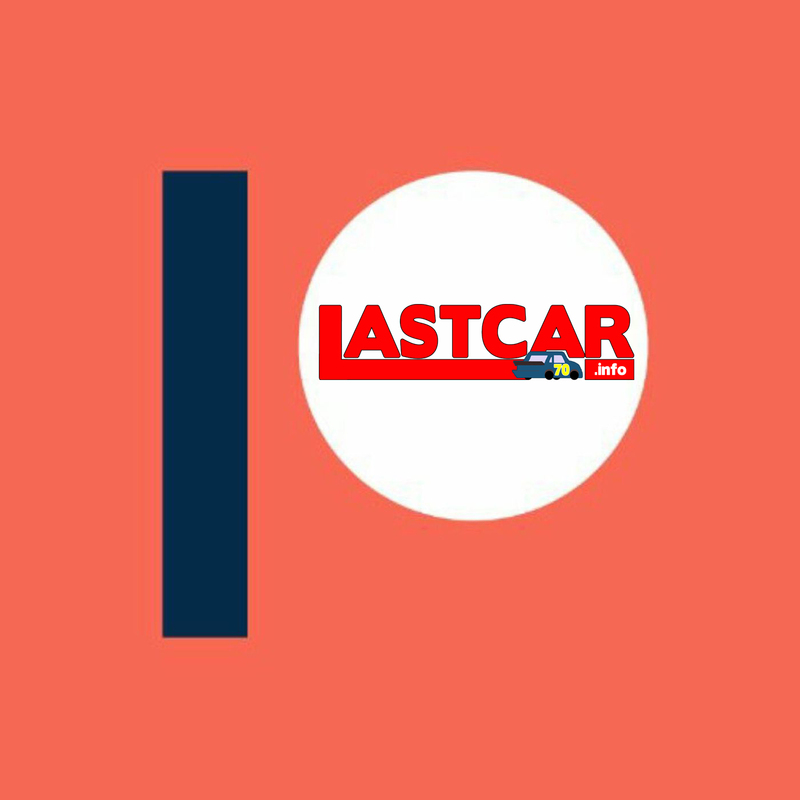 However, ongoing legal disputes between sponsor and team forced a switch back to Pontiac. Though Waltrip didn’t miss a race all season, the Pontiac never finished better than 18th. At season’s end, Waltrip put the “Tabasco Fiasco” behind him. For the 1999 season, Waltrip signed with Travis Carter Racing, which previously fielded a single-car entry, the #23 Winston / No Bull Ford, for Jimmy Spencer. Waltrip would drive for a new second team, #66, with sponsorship from K-Mart. In each of the first four races of the season, Waltrip rounded out the field in qualifying with the final provisional spot, but he finished no worse than 27th. A strong 12th-place start at Bristol and 12th-place finish at Martinsville showed the team had potential. But by the closing months of the season, Waltrip had gone through five crew chiefs and failed to qualify six times. On August 5, during the lead-up to the Brickyard 400, Waltrip had announced he would retire following the 2000 season, which he would call the “Victory Tour.” By the time the series rolled into Homestead, Waltrip sat a distant 37th in points. The Homestead-Miami Speedway opened in 1995 with the arduous name “Metro-Dade Homestead Motorsports Complex.” The track, constructed in the wake of Hurricane Andrew, opened as a rectangular oval similar to Indianapolis, though 1.5 miles long in place of Indy’s 2.5. The flat track hosted the XFINITY Series finale in 1995, and the Truck Series opener the following year, but the racing didn’t satisfy viewers. Worse, the track proved dangerous. 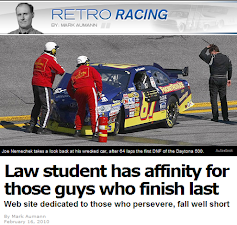 On March 21, 1997, John Nemechek, Joe’s younger brother, was killed in a hard crash five days earlier. That same season, Homestead was reconfigured to a 1.5-mile true oval. The four corners remained virtually flat at just six degrees. Two years before they picked up the second half of the NASCAR calendar, NBC broadcast the inaugural Pennzoil 400 with Alan Bestwick as the lead announcer. The biggest storyline, other than the race itself, was Dale Jarrett, who had all but clinched his first Winston Cup Championship, and the first for Robert Yates Racing after several near-misses. Another was rookie driver Tony Stewart, who claimed his second win of the season the previous week at Phoenix and would roll off 7th. Starting up front was Busch Series veteran David Green, TJM’s new driver, who after quietly finishing 12th at Phoenix had earned his first career pole in his 72nd series start. TJM’s #45 Pontiac, sponsored by AT&T’s 10-10-345 long distance rate plan, was originally driven by Rich Bickle until Green took over at New Hampshire in September. Waltrip rolled off 42nd in the field, one spot ahead of fellow owner-driver Brett Bodine in the #11 Paychex Ford. 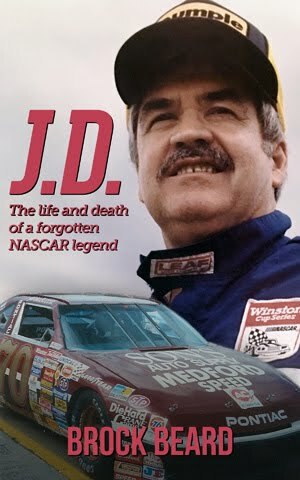 Bodine had purchased his team from Junior Johnson, who Bodine drove for in 1995. 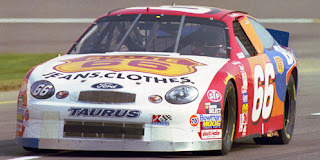 Both were joined by Kevin Lepage in the #16 TV Guide Ford for Roush Racing and Rick Mast’s #98 Team Woody Ford from Cale Yarborough Motorsports, each sent to the rear after crashes sent them to backup cars. Five drivers missed the cut: Dave Marcis in his #71 RealTree Camouflage Chevrolet; prospective 2000 rookie candidate Ed Berrier in Donlavey Racing’s #90 Hills Brothers Coffee / NesQuik Ford; Derrike Cope in Larry Hedrick’s #41 Kodiak Chevrolet, and ARCA drivers Andy Belmont and Bob Strait. Belmont’s #04 AOL Ford was fielded by Charles Meacham, who was looking to make his first Cup start as an owner since 1991. Strait’s #61 Rent-A-Wreck / Phoenix Air Racing Ford, owned by fellow ARCA racer Mark Thompson, had previously qualified for a Cup race that season at Watkins Glen with Porsche racer David Murry. By Lap 14, Waltrip had taken 43rd from Brett Bodine, and was already 20.690 seconds behind the leaders. Around Lap 28, Bodine fell back to last once more and was the first to lose a lap to leader Bobby Labonte off Turn 4. Around Lap 43, Bodine pitted, then went to the garage under green. By Lap 80, Bodine was back on track, still in 43rd and 14 laps behind. Waltrip held 42nd, six laps in arrears, but made his own trip to the garage soon after, having been “somewhat off the pace most of the afternoon” according to the booth. Waltrip reurned to the track near the 100 lap mark, then pulled off once more. NBC listed him as officially “out” on Lap 146. Bodine finished under power in 40th, 26 laps down. Just one caution slowed the day’s action, resulting in an average speed of 140.335mph and a race just under three hours in length. The caution fell for Ricky Rudd, whose #10 Tide Ford flirted with a 10th-place finish when the experimental motor he acquired from Robert Yates let go. Seconds earlier on the same lap, Michael Waltrip slipped into the wall in Turn 2 from an unrelated incident. The rest of the Bottom Five was filled with mechanical issues. 42nd went to Ted Musgrave, whose #75 GameWorks Ford suffered ignition failure. 41st went to Rudd, out after 184 laps. Ahead of 39th-place Bodine was Chad Little, the only other retiree in Roush Racing’s #97 John Deere Ford. The next week, Waltrip was handed his seventh DNQ of the 1999 season when he missed the field for the season finale at Atlanta. He’d miss five more races during the 2000 “Victory Tour,” including both rounds at Richmond, though Carl Long sold him his spot to make his final Coca-Cola 600. Waltrip’s best run by far that year came at Indianapolis, where he nearly won the pole for the Brickyard 400 - the 60th of his career - before he was bumped to 2nd by Ricky Rudd. Waltrip came home 11th that day, one of only two finishes inside the Top 20. He finished 34th in the Atlanta finale, where Jerry Nadeau claimed his first series win. The following February, he was in the booth for FOX Sports’ call of the Daytona 500, where brother Michael’s own first win was marred by tragedy. Dale Jarrett clinched the series title with a 5th-place finish at Homestead. Stewart won that day, cruising to Rookie of the Year, and won there again in 2000. When progressive banking was added to the track for the 2003 season finale, Stewart would not win there again until 2011, when he bested Carl Edwards in a tiebreaker for his third and final series championship. This Sunday, Stewart returns to south Florida with eyes on his 50th career victory. Edwards, one of the Championship Four, is in contention for his first title for the fourth time in his career. *This marked the second time Waltrip finishes last in an inaugural Cup race. On April 6, 1997, during the first Interstate Batteries 500 at Texas Motor Speedway, his #17 Parts America Chevrolet was knocked-out of the race in a grinding first-lap, first corner wreck that involved 12 other cars. Only Waltrip failed to complete the opening lap. *The #66 has finished last in the Cup finale at Homestead two times since, both with Phil Parsons' team: Mike Bliss in 2010 and Michael McDowell in 2011. *“Darrell Waltrip, driver of the No. 66 K-Mart Taurus, announced his retirement as a NASCAR Winston Cup driver following the Victory Tour 2000 next...” Motorsport.com, August 5, 1999. 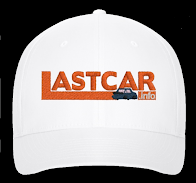 *“Homestead-Miami to be reconfigured with 20-degree variable banking,” AutoRacing1.com, May 21, 2003.